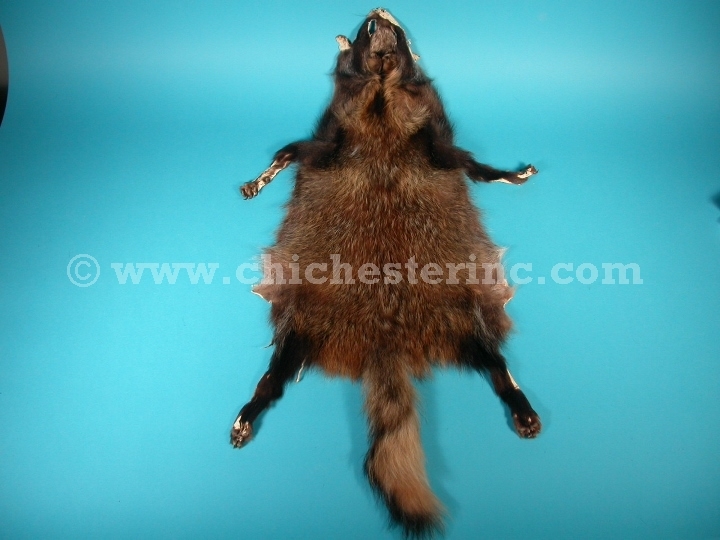 We offer a limited number of tanned Finn raccoon Skins. This animal is also called the Russian raccoon, or Chinese raccoon. The fur is very coarse, but is ideal for ruffs on parkas. One natural Finn raccoon we had measured 26" long from the nose to the base of the 9.5" tail and 12" wide across the middle. This skin was not encased. 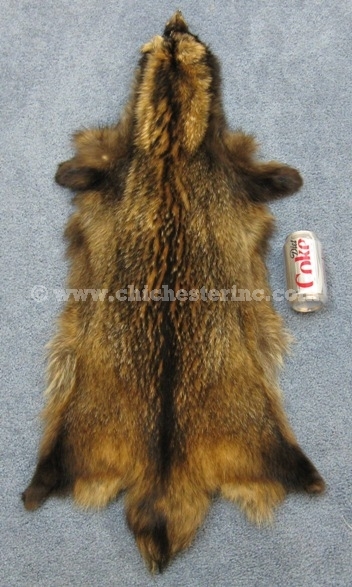 One AAA+ size white Finn raccoon measured 40" long and 8" wide, weighing 0.90 lbs. See the back view with an 18" ruler. See a close-up of the skin and the length of the fur. One A size white Finn raccoon measured 34" long and 10" wide, weighing 0.76 lbs. 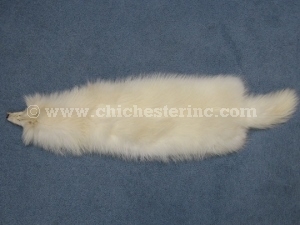 One B size white Finn raccoon measured 33" long and 11" wide, weighing 0.82 lbs. See the back view and a size comparison with an 18" ruler.